Whether you are an Event Company, a Wedding Planner, or the Person In Charge of Entertainment for your event, kindly contact us if you are looking for a string ensemble to play at your event. If you would like to hire a string quartet for your event, kindly contact us on the right side of this page, or alternatively, contact us at admin@advent-music.com . Or if you like to find out more, do read on! You may require a different genre to suit the feel and mood of your event, and we will be happy to match you to the correct string quartet. 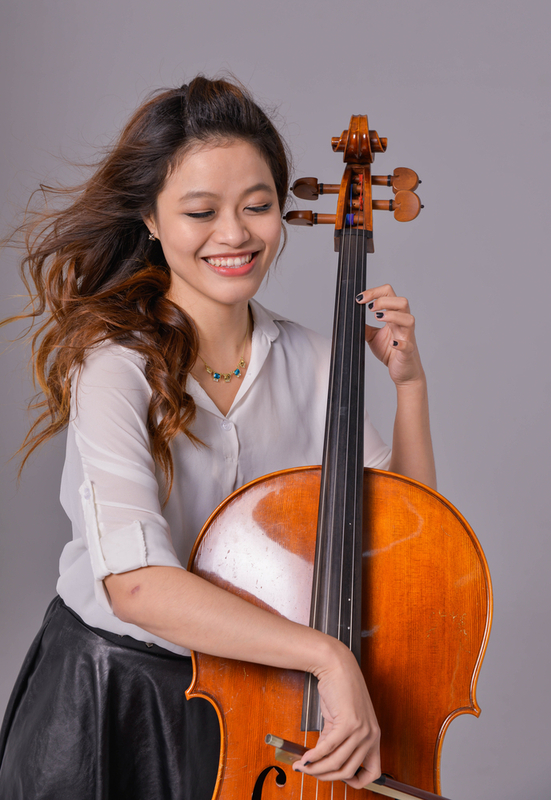 If you would like to hire a string ensemble for your event, kindly contact us on the right side of this page, or alternatively, contact us at admin@advent-music.com . Or if you like to find out more, do read on! Hiring a string ensemble does not need to be difficult or inaccessible. This premium option of a String Ensemble lends a heavenly and angelic sound to your event, creating a complete musical experience for your esteemed guests. Add a sparkle of merriness and joy to your event by getting a talented team of musicians making music together. When you need to marry classiness, great music, music that is non intrusive to the networking efforts of your attendees, and being visually aesthetic as a bonus, the established classical band set-up is an option that will ensure that you achieve all of the above. 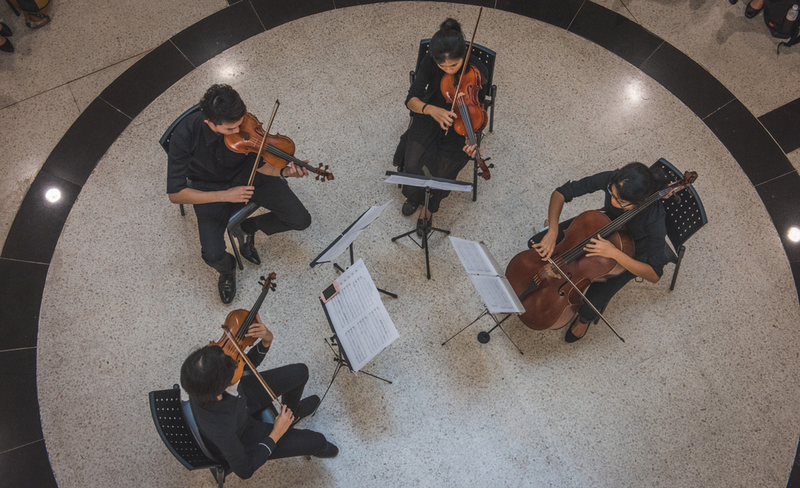 Whether it be to elevate the ambience of a small gathering, or to wow your guests in a large setting, a string quartet is your sure-fire go-to option to ascend your event to a higher level of elegance and excellence. 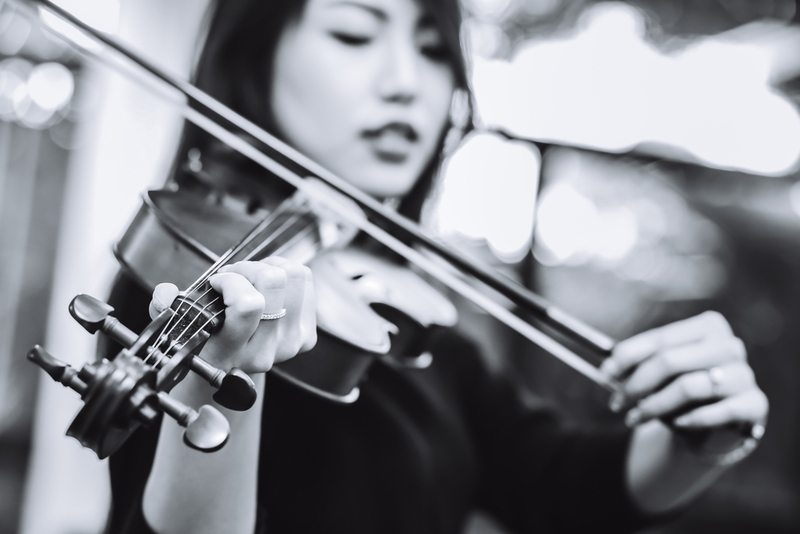 We grasp how important professional musicians are in achieving your desired level of success for your event, wedding, or corporate function, and our talented team of strings exude grace and finesse. Your distinguished guests, with refined palettes, will be able to appreciate and love the sound of our string quartet. A string ensemble is the perfect match to a theme of refinery. Our team boasts a high level of musicianship, proficiency in their instruments, experience, and an extensive music repertoire in its endeavour to accurately represent this timeless facet of music. What Genre of Music do you require? How many piece band do you want?